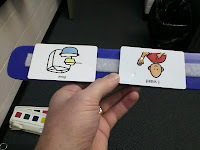 It took me awhile to fully understand the Picture Exchange Communication System (PECS) and how I could implement it into different activities in the classroom. Before I took the training, I thought PECS was just using picture cards to make choices. In special education, it's pretty normal to see pictures being used in the classroom to make choices, for visual schedules, or to indicate a want or need. After being formally trained by Pyramid, however, I now understand the purpose of PECS better--to initiate communicative acts. Really, we want our students to make requests and to comment while gradually increasing the complexity of the message. 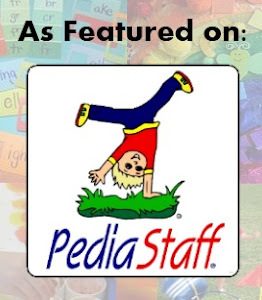 Obviously, I won't be able to train you in using PECS, but I can tell you that it is based on applied behavior analysis (ABA) and you should be officially trained by Pyramid Educational Consultants. In a nutshell, there are three phases to PECS. For the most part, my students are on Phase I, which is strictly exchanging a picture card for a desired item. With a communication partner, the student removes a picture card and initiates a communicative act with another person in order to receive something. As the person progresses through the phases, he begins to build short sentences like, "I want ______." I guess what I'd really suggest is that you go and get officially trained by Pyramid Educational Consultants (the only official PECS company). Now, let's get to my activity. PECS is all about repetition--lots and lots of repetition. As long as the activity is motivating to the student, you can use recipes as functional activities. In terms of speech and language, recipes are great for working on functional vocabulary, following directions, following safety rules, and best of all--enjoying a snack with classmates! A few years ago, my mom (a retired fourth grade teacher) introduced me to "Gifts in a Jar". 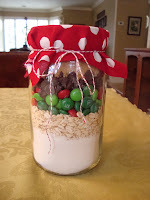 She would create these really nice, inexpensive gifts for others at Christmas by using old canning jars and dry ingredients for various recipes. After examining them, I realized that this would be a great PECS activity. Basically, all you need to do is have picture cards for each ingredient and then, of course, all of the materials and ingredients needed for the recipe. You can download the free Gifts in a Jar book here or visit their website for more information. If you want to see lots of other ideas, check out Pinterest. There's always a bunch of stuff like this on there. I typically do cookies, but you can find ideas for bread, soup, and even golf tees for golfers. Here's how it works. Have an adult (or two) work the food preparation table with all of the ingredients (e.g. flour, sugar, chocolate chips, and etc.). Each person takes a jar and a picture card to the table to request each ingredient. The best way, I've found, is to have each student take turns requesting only one ingredient until that layer is completely done by the group. Then move onto the next ingredient. And the next. And so on. After we put the lid on, we finish off the jar with decorative cloth filled with polyester fill (you can buy it at a craft store). Then we tie on the recipe card with twine. That's it! 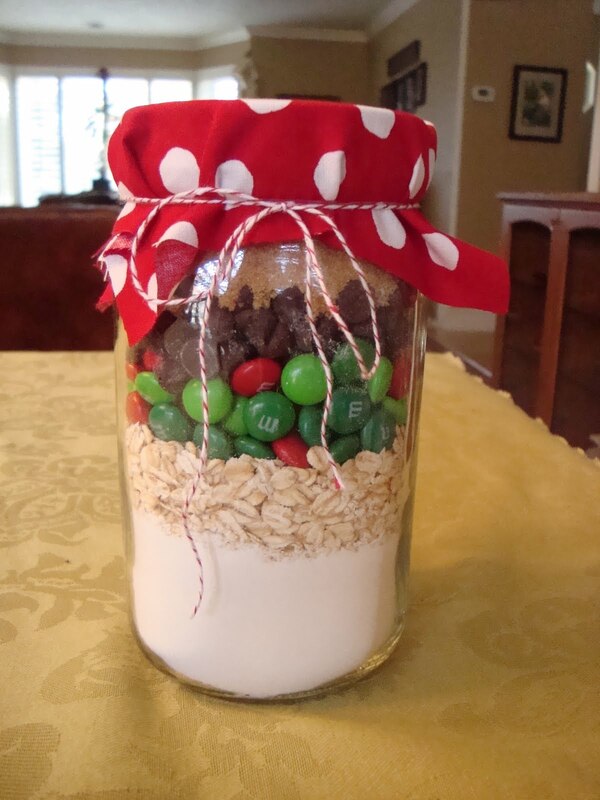 Use wide mouth jars to make the pouring easier. Many times, I get the jars (quart size) donated to me by fellow educators. Other times, I search Craigslist for free (or cheap) jars. For secondary activities, have the student cut the fabric into 9 inch circles. You can pre-make a cardboard circle to trace on the fabric. Additionally, you can have the students cut recipe/ ingredient tags out and paste the directions on the tags. I've either had the students make these for gifts for their parents or we've sold them at our Holiday School Party (or Santa Store) for $5 each. We use the proceeds to donate to a local charity like Special Olympics. Always make sure you follow proper sanitation rules when handling food. Be cautious when allowing students to carry glass jars too. I had one student who like to see things break. We learned this the hard way--twice. Read the free Gifts-in-a-Jar Book for more detailed information on each recipe. Ryan is the owner of RK Speech and Technology LLC in Perrysburg, Ohio. He is licensed in Ohio and Michigan. 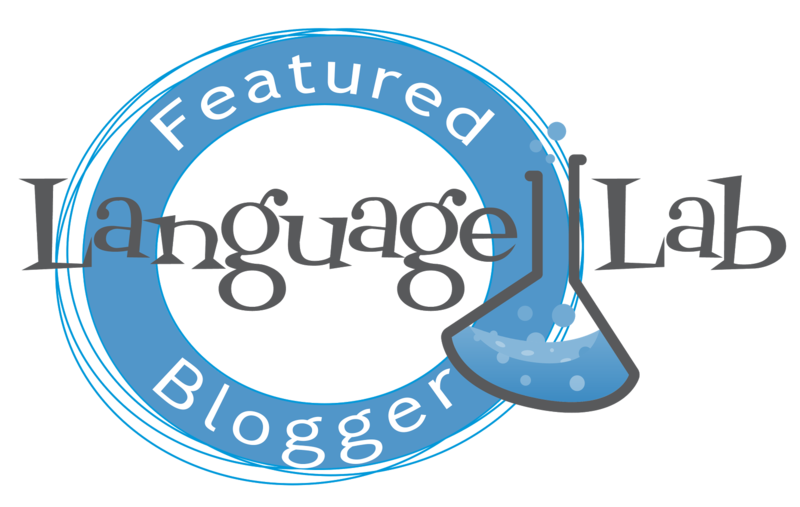 Ryan has been an active member of the American Speech Language Hearing Association (ASHA) since 2003. Check Out My Favorite Bookmarks!